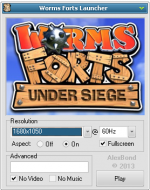 Worms Forts: Under Siege is an artillery strategy game. 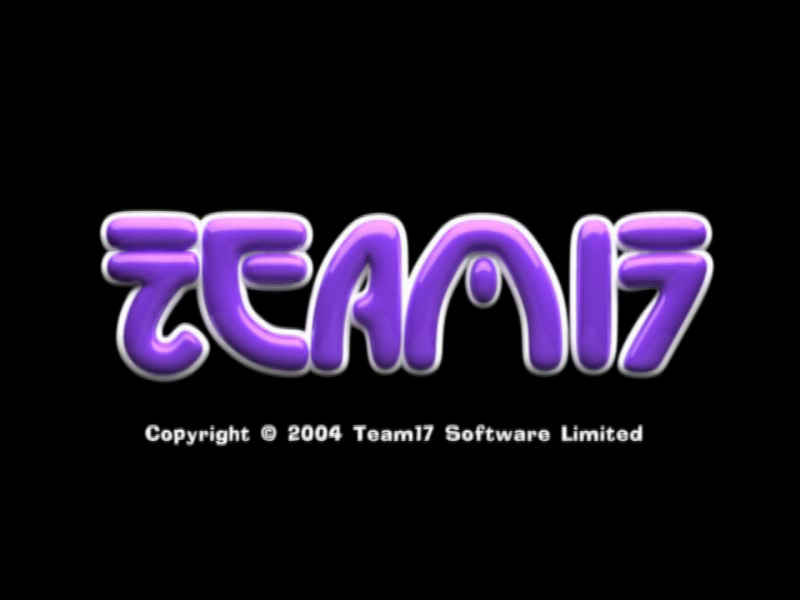 It was designed by Team17. Like the most recent Worms game, it is in complete 3D and showcases new features, such as buildings. 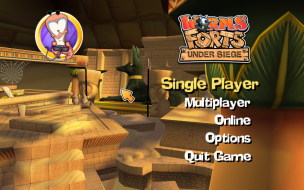 While the primary method of victory is to destroy the opposing team, an alternative method is to destroy the opposing Stronghold, the most important building in the game. 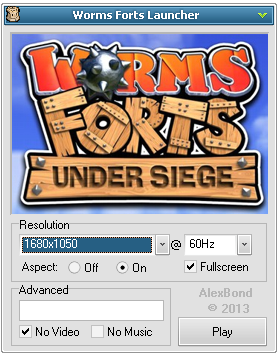 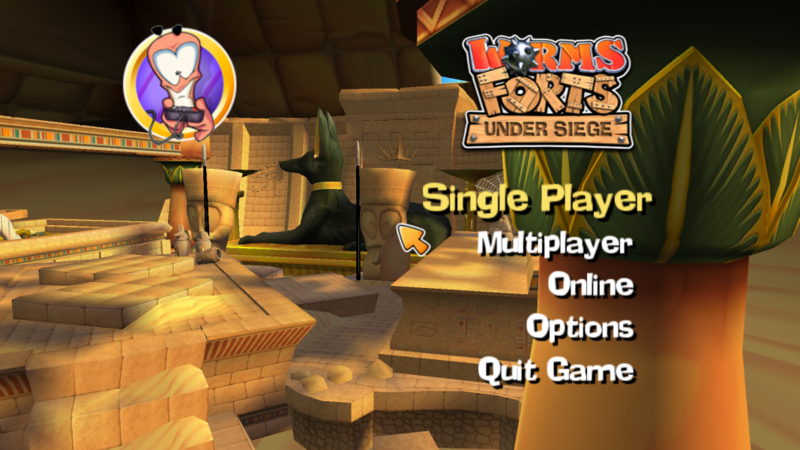 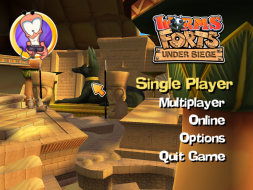 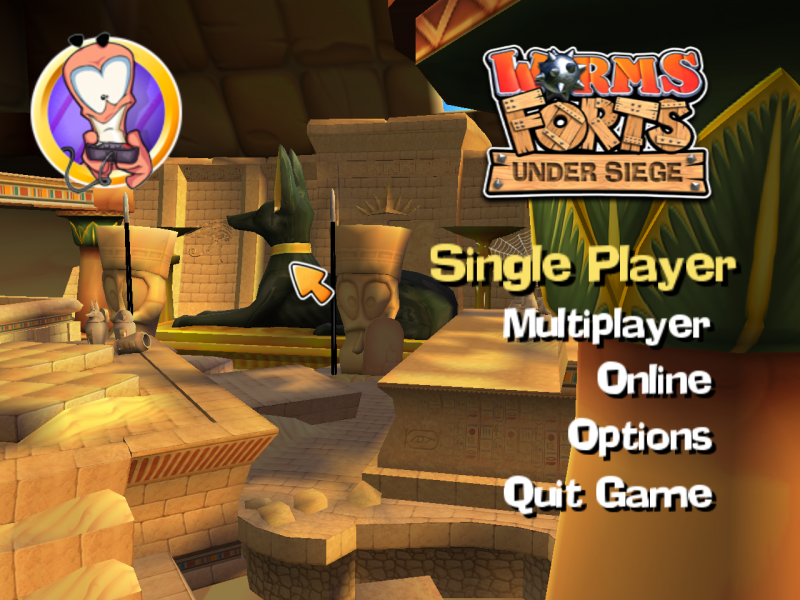 Use AlexBond's Worms Forts Launcher. Set Aspect: On to correct the aspect ratio. For the GOG.com version run WFLauncher.exe as an administrator (required due to the GOG.com version of the game being set to run as an administrator on launch). 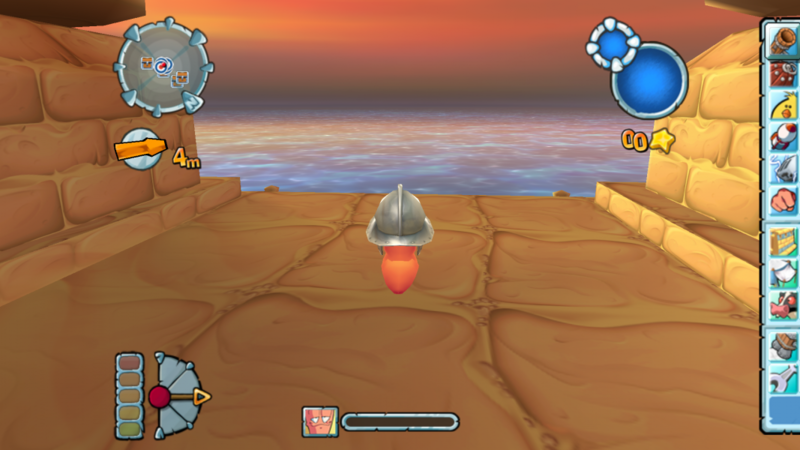 Everything scales correctly. 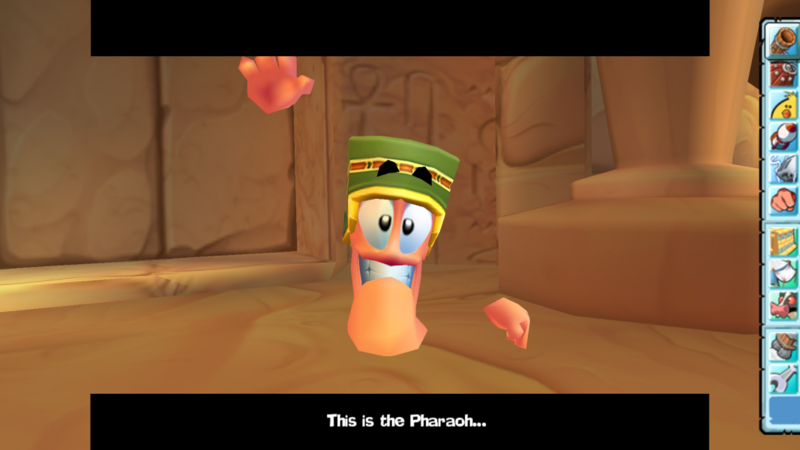 FMV cutscenes are stretched. 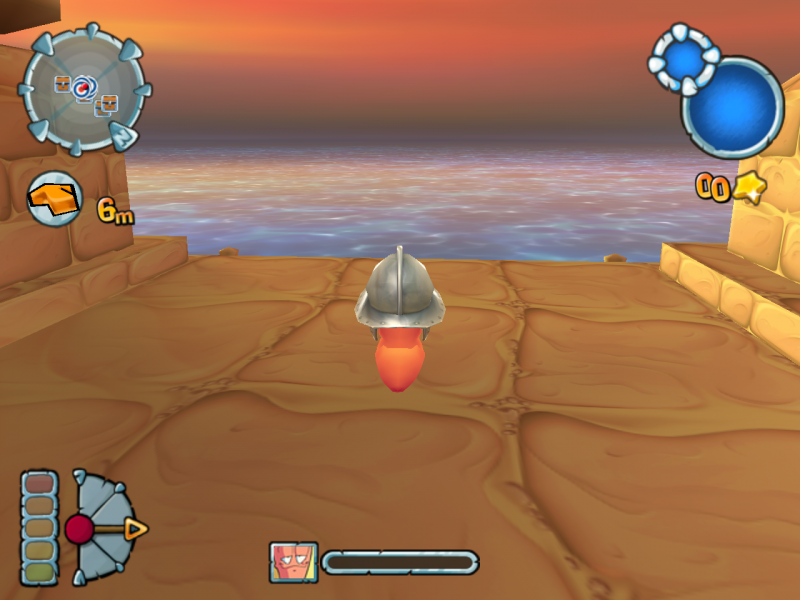 Real-time cutscene letterboxing ends at the margins of the 4:3 area. 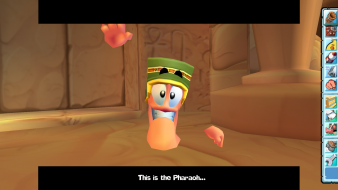 Part of the sliding inventory menu is always visible at wider aspect ratios (even during cutscenes). This does not affect gameplay (it still slides into position when triggered). 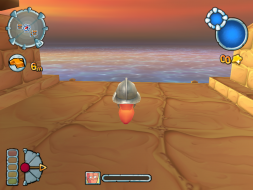 The HUD is centred for 4:3. 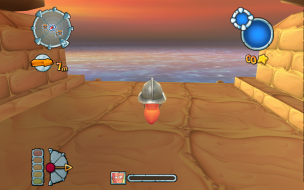 Some 3D elements may flicker during real-time cutscenes, especially in the area beyond the 4:3 limits. 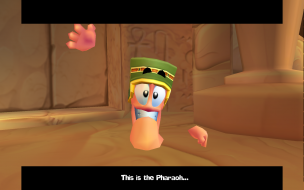 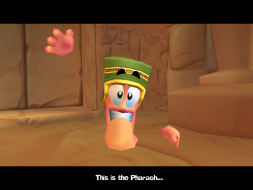 Some other strange cutscene behaviour will also be observed (such as off-screen worms mirroring the facial expressions of worms that are visible within the 4:3 area).